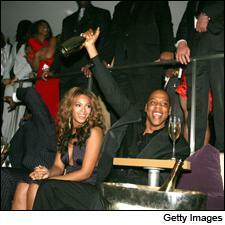 Cristal was not to be forever for Jay Z. He's moved on to a new toast. Some Boston University School of Public Health professors and students were jamming out pretty diligently to produce a recent study tallying alcohol brand mentions in 720 Billboard-charting songs from 2009 to 2011. "The most striking finding was that alcohol-brand references are concentrated among a small number of brands [in pop music] …," according to the research published in Substance Use and Misuse. "Four brands alone—Patrón tequila, Hennessy Cognac, Grey Goose vodka and Jack Daniel's whiskey—accounted for more than half of all alcohol-brand mentions." Yes, here we are, 17 years after Biggie Smalls proclaimed "Cristal forever!" on Jay Z's "Brooklyn's Finest." Wine fervor among young people is at an all-time high—especially for bubbly and rosé, which are the most party of all wines. Yet most wine brands are still clueless on how to get a shoutout and a lucrative lyrical plug when, as the study shows, there are plenty of outs to be shouted: 64 brand mentions in 720 songs. But for wine? Two Moëts and two Cristals in the "urban" genre, plus a Dom Pérignon in a country song. This paucity is not necessarily for lack of trying. Plenty of brands have enlisted musicians to shill for wine. Just this summer, we had Nicki Minaj, Christina Milian and Warren G push Moscato, while Sheryl Crow posted up at Chateau St. Jean. The problem is that these endorsements rarely feel authentic. I once interviewed a singer who was representing a major winery and asked which wines he liked to drink. He repeated the winery's name several times for emphasis and said, "Wouldn't it be great if I just started naming other brands right now?" Did his contract forbid him from enjoying more than one wine? It was an outright admission of what the young, marketing-skeptical generation of drinkers already knows. We don't think, "This celebrity represents this wine, so he must really like it." We think, "This celebrity was paid very well to advertise this wine." Here's how it's supposed to be done: When Drake raps, "The Rothschilds, the Krugs, the Gajas, the Opuses / It's always nice when you're with someone who notices," you can be sure that Domaines Barons de Rothschild did not pay him to name-check their premier cru. Drake likes and drinks these wines for the same reason other rich people do—because they are very good and very expensive. Cristal was perhaps the first wine brand to enjoy this kind of organic attention on a wide scale. It was the toast of rappers everywhere—until The Economist's 2006 interview with Frédéric Rouzard, new on the job as managing director of Louis Roederer. He was asked whether the association with "bling" and hip-hop could damage the brand's reputation. He replied, "That's a good question, but what can we do? We can't forbid people from buying it. I'm sure Dom Pérignon or Krug would be delighted to have their business." The Economist added fuel by subtitling that section of the article "Unwelcome Attention." A furor arose: Rouzaud protested it was a misrepresentation, but Jay Z loudly boycotted the label and the damage was done. Jay Z later wrote in his memoir Decoded, "Why not just say thank you and keep it moving?" He went on to explain why Cristal, like any wine brand, should hope to catch fire in pop. "Cristal meant one thing, but hip-hop gave its definition some new entries … We gave [it] a narrative, which is one of the reasons anyone buys anything: not just to own a product, but to become part of a story. Cristal, before hip-hop, had a nice story attached to it: It was a quality, premium, luxury brand known to connoisseurs … Suddenly, Cristal didn't just signify the good life, but the good life laced with hip-hop's values: subversive, self-made, audacious, even a little dangerous." Champagne is more tied to lifestyle than any other wine segment, and Cristal had played the game better than any other since the days of Camille Olry-Roederer at Studio 54. But Roederer failed to understand that the hip-hop lifestyle—despite the musical references to violence, crime and misogyny—could be a manifestation of that same edgy glamour of its past. It was an unusual unforced error. Next up, Champagne Krug tried spin some "authentic" branding in the riskiest of places in 2011: the pit of seething anti-commercialism that is Burning Man, an annual desert festival where thousands of unwashed alternative types engage in art/music/whimsy for several days. "Commercial sponsorships, transactions or advertising" are an explicit no-no at the festival, but Krug managed to sneak in an "exclusive" dinner party at a table filled by bused-in guests and folks who were told it was a birthday party. A few PR photogs, Champagne flowing freely, some social and print media coverage sprinkled around and voilà—look at Krug, all hip with it at Burning Man! The Krug team didn't even clean up after the dinner, and they quickly got caught in their deception. Now their tone-deafness is smeared across their Wikipedia page: It was an #epicfail. This got me thinking that faking your product endorsement or the hype will always turn off your target audience, that overselling your brand is overplaying your hand: You had to have that natural Cristal appeal. But what happened next in the Jay Z saga is curious and still shrouded in some mystery, and it got me rethinking that there is a way for wine brands looking to get their promotion and keep their authenticity—or the consumer perception of it—too. Read on, tomorrow. You can follow Ben O'Donnell on Twitter, at twitter.com/BenODonn.